Solar power is a perfect example of efficiency. 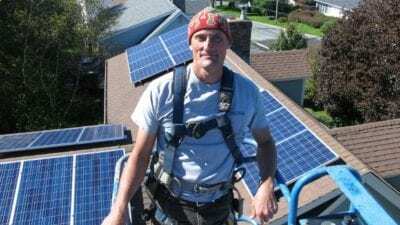 So when Efficiency Nova Scotia announced its new SolarHomes rebate for Nova Scotian homeowners late in June 2018, it seems like a natural fit. The new program provides Nova Scotians with a rebate of up to $10,000 on the installation cost of a Solar PV system. 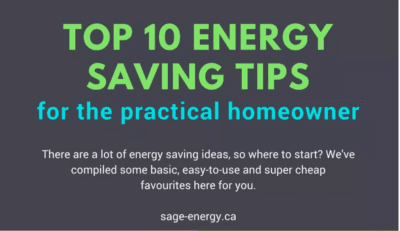 According to Efficiency NS, the rebate is $1.00/watt for eligible solar photovoltaic systems. For most systems, the rebate will equate to approximately 30% of the cost of the system. Efficiency NS expects the average rebate to be about $7,000, with the maximum rebate $10,000. Bear in mind that this rebate is in addition to the cost savings you can expect on your power bills after installing a solar PV system. Applications will be available in mid-August. Rebates will be paid for solar photovoltaic systems that meet all program criteria and are pre-approved by Efficiency Nova Scotia. Your solar installers must also be pre-approved by Efficiency Nova Scotia. Efficiency NS states that most Nova Scotia homeowners will be eligible. Further details will be made available when the program launches. The four-year program is set to launch in mid-August, but if a homeowner goes ahead with such a project before then the rebate would be retroactive to June 25 if it meets all the criteria. Only basic program details have been released at this point. Full details are expected in mid-August. The SolarHomes program will complement Halifax Regional Municipality’s (HRM) Solar City Program, and rebates will be made available to HRM Solar City participants whose systems are connected on or after June 25, 2018. Want to know if your home is a good bet for solar? Try our Grid-Tied Calculator to see what might work for your home. Or request a site assessment here to get started right away!